Britax Römer, the leader in child mobility, today announced the launch of the highly anticipated DUALFIX i-SIZE. Providing the ultimate luxury of comfort to both parents and children alike, the new 360 degree rotatable car seat with ISOFIX is suitable from birth cm to 105 cm (birth – 4 years). 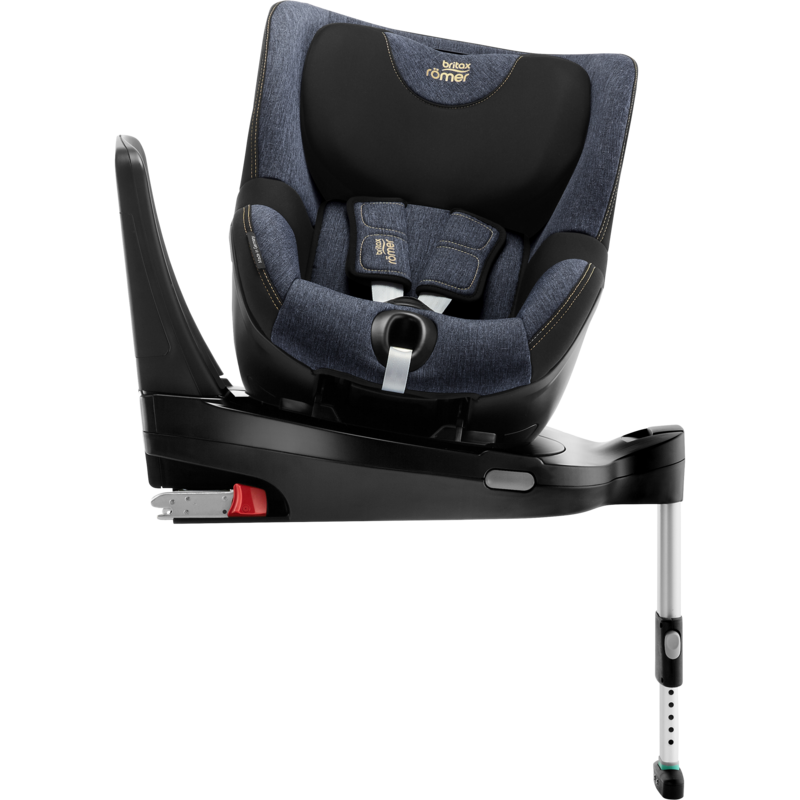 Featuring major advancements in comfort, safety and design, the car seat is Made in Germany and is Britax Römer’s most premium product to date. The DUALFIX i-SIZE was designed with Britax Römer’s renowned crash testing capabilities and adheres to the ECE R129 (i-Size) regulation, as well as the company’s stricter, internal safety standards. The car seat is Made in Germany – including engineering, crash testing and manufacturing – while its fabrics and covers are Made in Europe. The stylish product comes in a sleek black shell with a shape reminiscent of Britax Römer’s popular, multi-award winning DUALFIX. DUALFIX i-SIZE is designed to grow flexibly together with the child, while a range of innovative features ensure constant safety and superb comfort. The newborn insert provides superior comfort and support for babies, making the DUALFIX i-SIZE a great choice right from the start. 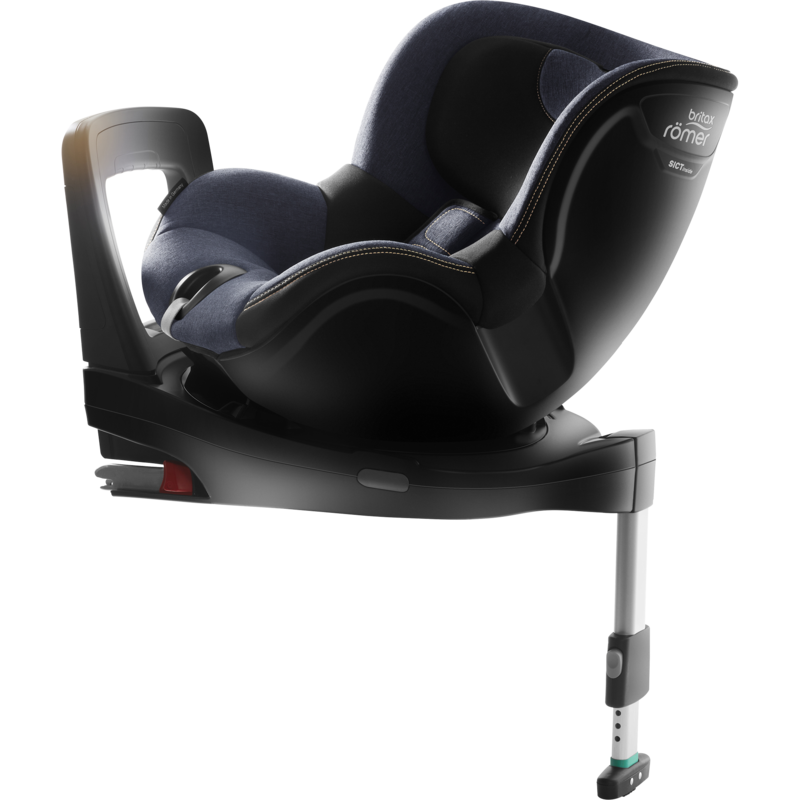 Once the child begins to grow, the variable seat size can be adjusted at any time to provide an optimal ergonomic fit up to 105cm. The unique rebound bar helps to prevent the child car seat from tilting during an impact, but can also be adjusted by an entire 8 degrees. This adjustment provides children with an additional 10 percent of leg space when sitting rearward-facing. The DUALFIX i-SIZE features an intuitive single-handed headrest and harness adjustment and allows for 6 recline positions forward-facing and 6 recline positions rearward-facing for an ergonomic sleeping position at every age, including a flat recline position ideal for newborns. The car seat can be used either extended rearward-facing (40cm to 105 cm) or forward facing (76 cm up to 105 cm), with easy exit and entry for the child thanks to its 360° rotation capabilities, which also allows for simple harnessing for parents. The DUALFIX i-SIZE provides all-around safety, including Britax Römer’s new “SICT inside” concept for superior protection in the event of a side collision. The DUALFIX i-SIZE features a unique steel bar inside the seat. In a side impact, the durable bar acts like a protective shell which, together with the softly padded side wings, forms a protective cocoon around the occupant. As the steel bar deforms, it absorbs energy and guides forces into the inner part of the seat, away from the child. The padded side wings cushion the forces of the impact, further reducing the risk of injury. Specially designed to control the movement of the child’s head, the V-shaped headrest ensures optimal protection while providing ultimate comfort at the same time. The DUALFIX i-SIZE also boasts a five-point harness that distributes the forces of an accident across five points of the car seat and away from the child. The soft neoprene chest pads provide greater cushioning and a snug fit against the pelvis, across the shoulders and over the rib cage. The harness additionally keeps the child firmly in place in all types of collisions and provides an option for little ones to sit rearward-facing until 4 years of age. Ensuring a safe and easy installation process in every car, the new DUALFIX i-SIZE is fitted using the ISOFIX with Pivot Link System, an adjustable foot prop and the rebound bar to provide extra support and stability. The patented Pivot Link System works by first directing the forces of an impact downward into the vehicle seat and then gently forward, thereby greatly reducing the risk of head and neck injury in forward-facing mode. Thus the child is protected regardless of a side, frontal or rearward impact. “Made with Care” is Britax Römer’s philosophy to provide the highest quality of products to our customers. The majority of our car seats, including the DUALFIX i-SIZE, are made in Europe – and all of our car seat fabrics and covers are made in Europe. This is an important step in its commitment to tightening quality control and developing the safest possible products for children – whether it is protecting them in accidents or from elements that come into contact with their skin. Britax Römer has strong internal standards for chemical and mechanical testing for fabrics and other components. These include regulatory guidelines and our own internal, often stricter standards to which the quality of our products must adhere. Britax Römer is pleased that its efforts have been recognised in this area with consistent, excellent scores from leading consumer organisations such as Germany’s Stiftung Warentest, ADAC and ÖAMTC.